Construction of the The Westin Darwin Hotel will commence this month, overlooking the Darwin Harbour and adjoining the CBD, providing a significant boost for the local tourism industry, and act as a major drawcard for high-end business people and more tourists. Local company, McMahon Services Australia NT, has won the project's first contract to construct the sea wall around the hotel site at the Darwin Waterfront. Other Stage 1 works include construction of a foreshore footpath, installation of precast concrete units to the wall, a new headwall and associated drainage works. Excpected to open in 2021 and situated on the waterfront, the hotel makes an important connection between the city and the water, enhancing the precinct and acting as a gateway to the natural wonders of the Northern Territory. Design and initial preparation works were carried out in January 2019, with a start on site of construction works anticipated this month. 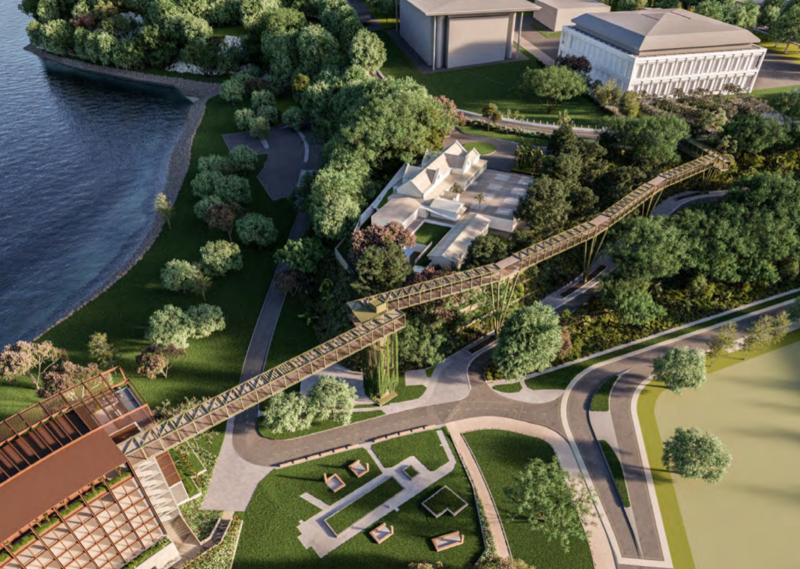 The NT Government has committed $17 million towards public infrastructure associated with the project including the development of a Skywalk connecting the waterfront into the Darwin CBD. The location of the Westin Darwin Hotel overlooking the Darwin Harbour and adjoining the CBD will provide a significant boost for the local tourism industry, and act as a major drawcard for high-end business people and more tourists. Click here to view further information on the development. It is expected the $200 million luxury hotel will create more than 500 construction jobs and around 150 ongoing positions. Click here to view the Tourism NT website. Click here to view the Landbridge website.